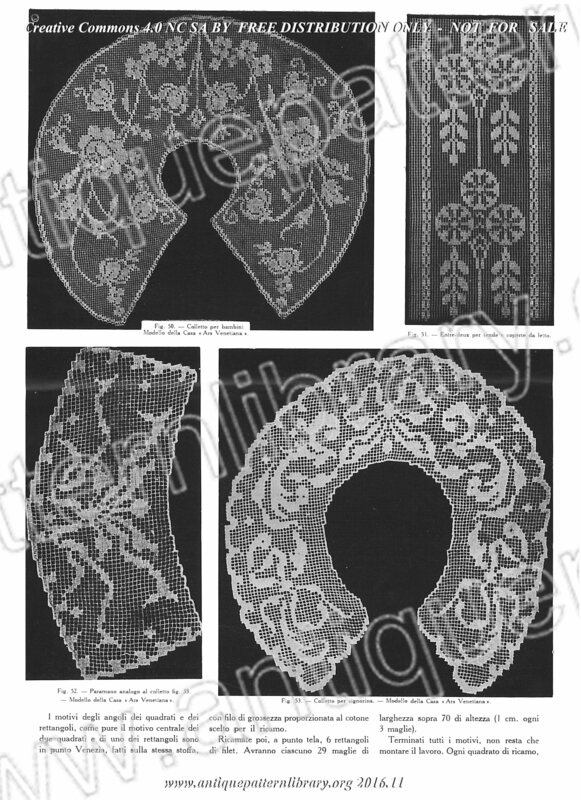 36 page booklet of designs for pieces incorporating filet (darned net), and cutwork embroidery. Charts and drawings, plus some photographs of finished pieces. Some devotional designs, the expected cherubs and putti, allegorial scenes, collars, edgings, corners, rondels, and a particularly nice deep edging for a tablecloth that features bunches of grapes. Some designs inspired by historical pieces, or descended from modelbook standards. Charts are also suitable for filet crochet and cross-stitch.